“More than 3,000 Palestinian teenagers on Thursday graduated from the ruling Hamas terror group’s first high school military training program in the Gaza Strip, displaying mock weapons, crawling commando-style on the ground and taking up fighting positions for thousands of cheering supporters. There may well be a connection between this “educational” initiative by Hamas and the efforts mentioned by senior Hamas commander Zaher Jabarin in a recent interview with Hamas’ Al-Quds TV. In the interview, Jabarin boasted that Hamas labors “day and night” to educate Palestinian children to become suicide bombers. Among the many questions that should be raised in this context is whether the claim by AP that Hamas has been offering a military training program as “a weekly elective…in all Gaza high schools” means that UNRWA – which runs 245 schools for 225,000 students in Gaza – cooperates with Hamas in hosting or otherwise facilitating the military training of teenagers. UNWRA also has a program for donors to “adopt” a Gaza school, and recently, the German government donated 3 million Euros for the construction of two additional UNRWA schools in Gaza. No doubt these donations are well-meant, but they obviously also allow the Hamas-rulers of Gaza to avoid committing resources to the education of Gaza’s children while leaving them free to finance instead “jihad” training for teenagers. It is perhaps also time that the organizations that are so eager to indict Israel for any harm that comes to Palestinian teenagers in situations of conflict take note of the longstanding and prevalent Palestinian practice to provide children with some sort of military training. 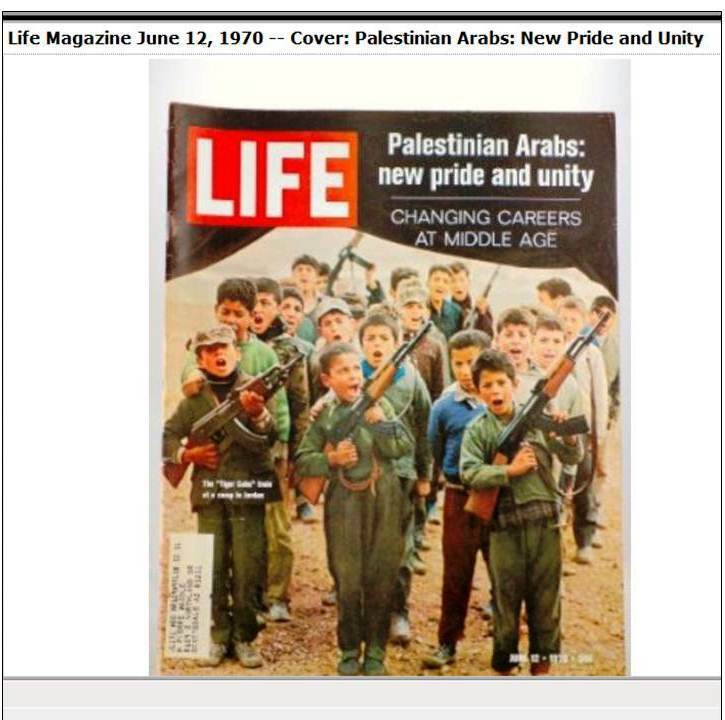 Right: those cowardly Israeli soldiers, utterly shocked when they encounter heavily armed children sent by cynical adults to fight for them… And of course, these adults know very well when to switch from the perverted pride reflected in El-Ali’s recollection – and countless other similar statements – to a display of abject victimization. 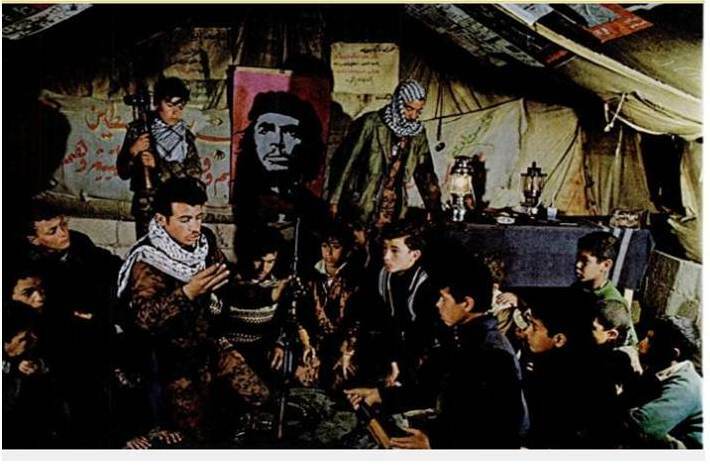 To be sure, Palestinian youngsters no longer train “under the stern gaze of Che Guevara,” but otherwise, not all that much has changed: nowadays, they get trained as “Jihad warriors” who proudly graduate on Muhammad’s birthday, indoctrinated to regard it as a privilege to perform “a courageous suicide operation.” The international community makes sure Hamas won’t have other expenses for education and continues to overlook the vicious legacy of decades of determined Palestinian efforts to teach children that violence and terrorism are noble and admirable. 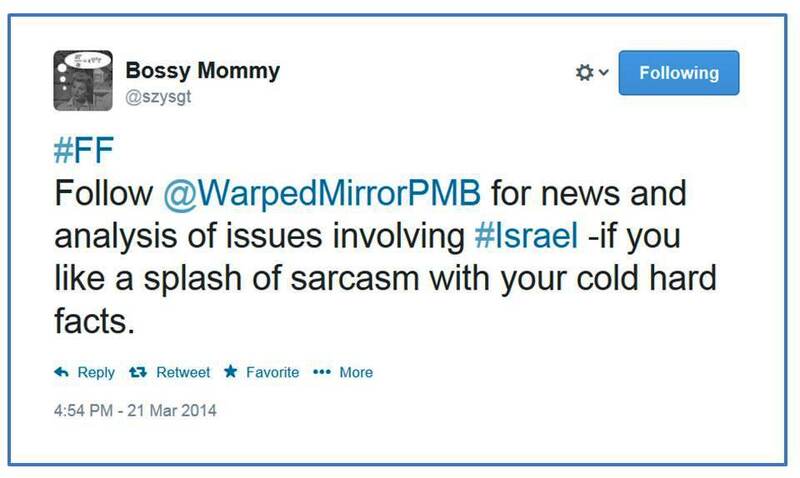 This entry was posted in JPost and tagged Gaza, Hamas, jihad, terrorism, UNRWA. Bookmark the permalink. Their mothers and fathers must be very proud of their little jihad warriors who actually graduate. WOW!!!! You see these terrorists celebrate death where Jews celebrate LIFE.